New seasonal items to freshen your summer home and table! 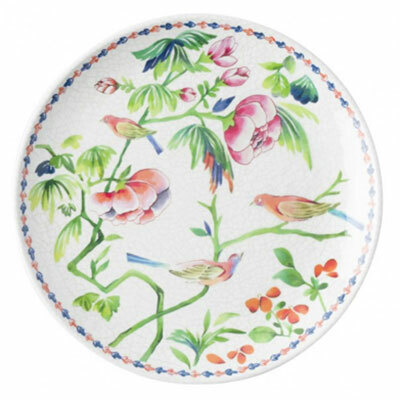 Melamine plates are handy for outdoor entertaining. 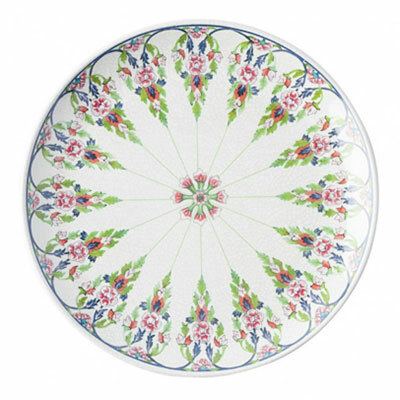 This Lalana floral melamine 11” dinner plate is pretty, as is the companion 9” salad plate. Both are dishwasher safe. The dinner plate is $18.00 and the salad plate is $16.00. 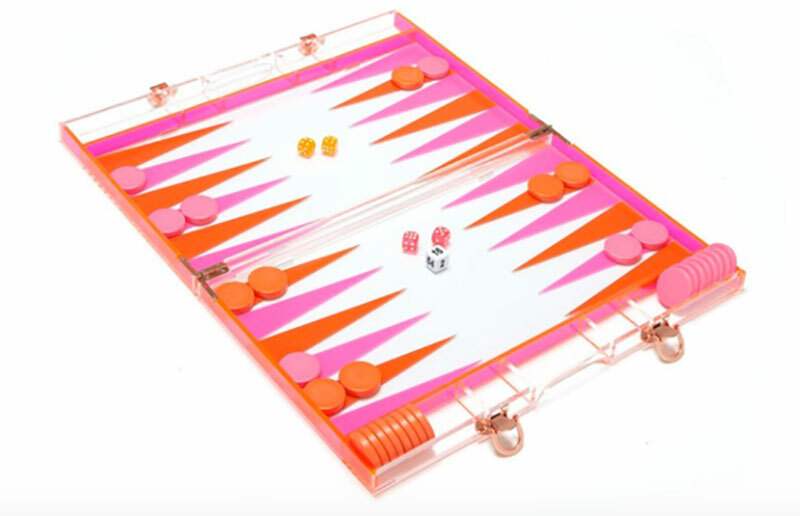 Sunnylife backgammon set in neon orange and pink is made from high quality durable lucite acrylic. It is 16.5” x 10.5” and includes the 30 playing pieces and 5 die. $140. 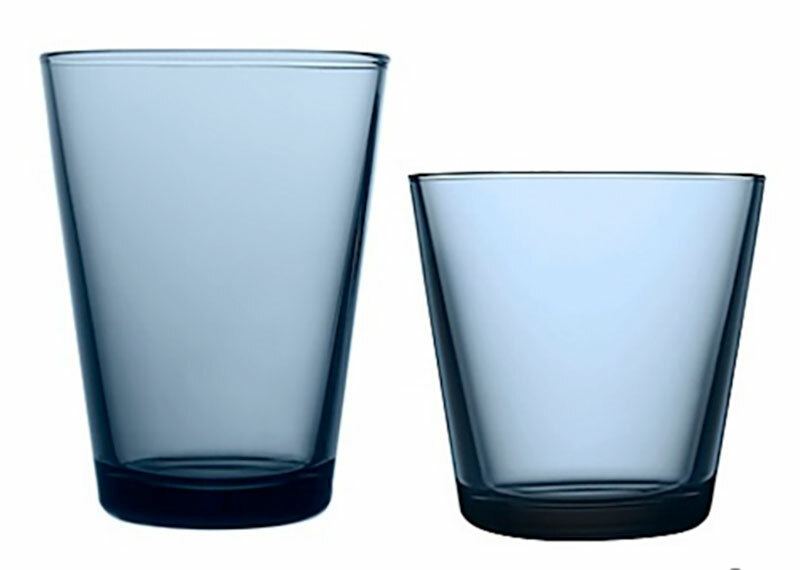 littala Kartio large tumblers have a lot of style. They come in two sizes, 13 oz. and 7 oz. and in five colors as well as clear glass. They are dishwasher safe. The large 13 oz. size is $27.99 for 2 and the 7 oz. is $21.99 for 2. 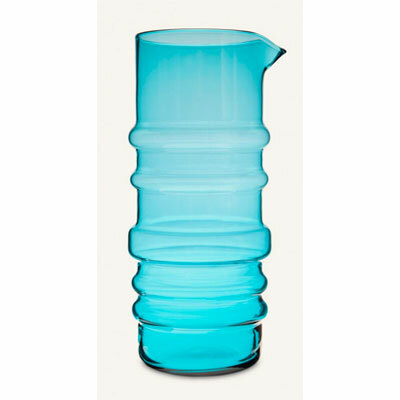 Marimekko ‘Socks Rolled Down’ turquoise pitcher is hand blown and holds 36 oz. It is 3.5”d x 9”h. It also comes in clear glass. $79. 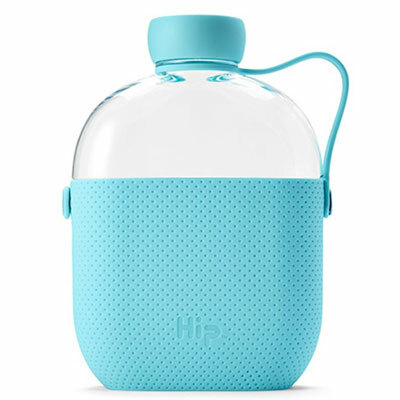 Karim March’s Hip is a refillable fat flask made of lightweight BPA-free plastic. It has a textured silicone sleeve and a side strap. It comes in 6 colors and holds 22 oz. Each purchase of a Hip water bottle provides 2 days of safe drinking water to a person in need through their partner Water For People. $14.99. 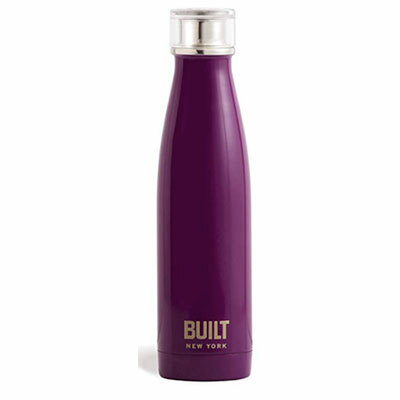 The Built PerfectSeal Apex is a skinny stainless steel bottle with a patented lid that locks in place to prevent spills. It comes in 5 colors and holds 17 oz. $14.99. 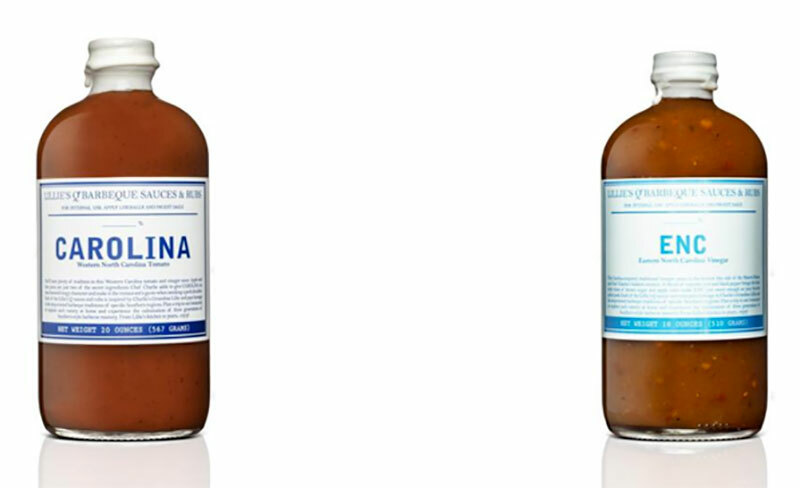 Reusable water bottles are eco-friendly and reduce the consumption of plastic water bottles that end up in landfills and in the ocean when discarded. 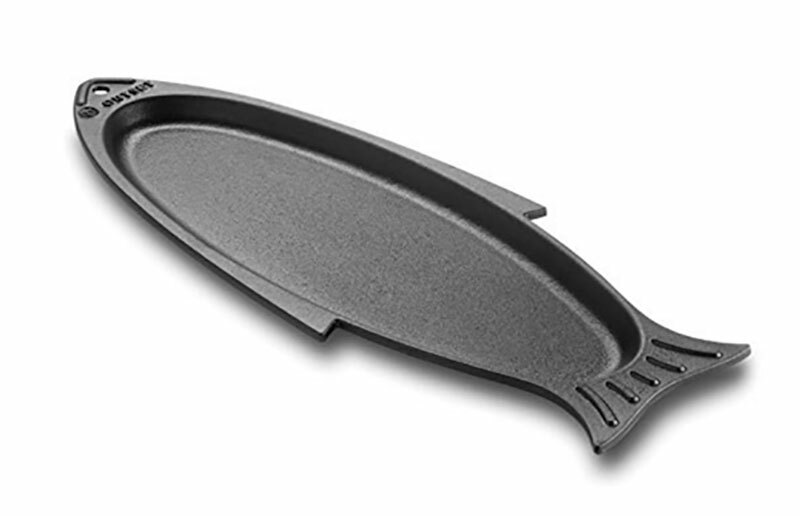 Cook and serve your fish in this cast iron fish pan. The cast iron cooks fish evenly and it stays warm in the pan after cooking has ended. It is 13” long by 5” wide. $31.99. I love to try new grilling sauces in the summer. Lillie’s Q Sauces are authentic southern BBQ sauces, made from all-natural ingredients with a wide variety of flavors, each from a specific Southern region. $7.00 each. These paper placemats are just the thing to make table setting easy. There are over 20 patterns to choose from. Made from recycled paper using soy based inks and are 11” x 17”. $25.95 for 25. 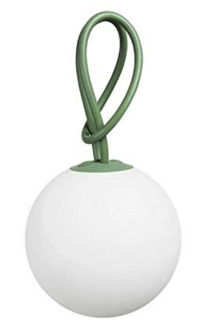 This is a cordless, re-chargeable and portable outdoor lamp. The loop can be easily tied anywhere and a full charge can last up to 24 hours. The lamp weighs 1.3 pounds and the light is 8″ in diameter. The loop also comes in light grey, taupe and red. $99.00. 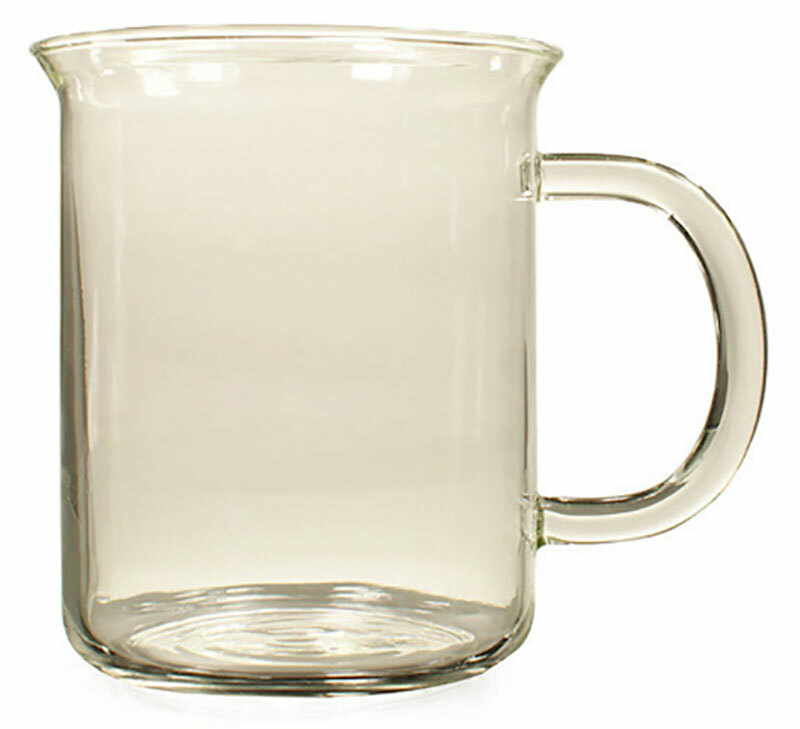 These Vermont Gift Co. clear glass mugs are $7.90 for the 14 oz. size. Their glass pitchers, carafes and mugs are flameproof, ovenproof, microwave safe and dishwasher safe. Everything can be used for hot or cold drinks. 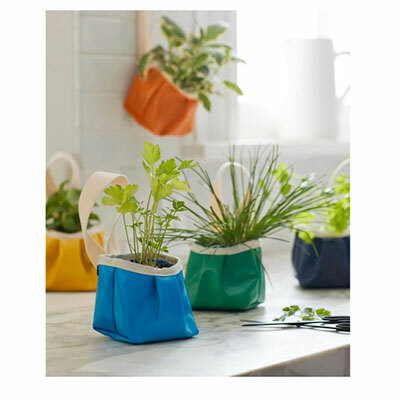 Planter Pouches are a great way to have your cooking herbs right at hand! Each pouch is 4” square and is made from coated cotton canvas. They fit any 4” pot. There is a loop to hang them on a wall if desired. They come in five colors – yellow, blue, green, navy and orange. $25.00 for a set of five. Boon Supply donates 50% of all shopping proceeds to the charity of your choice. 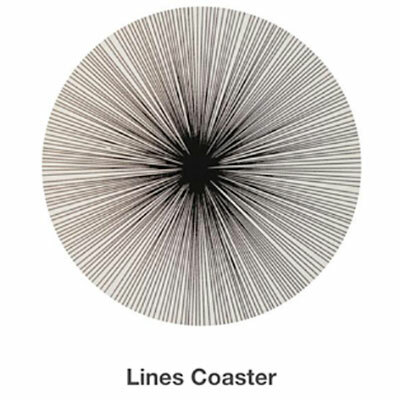 Fun summer coasters – Amanda Weitzman’s starburst coasters have the design silk-screened onto the wood. They are backed with cork and finished in acrylic. There are 11 colors to choose from. $10.00 each. 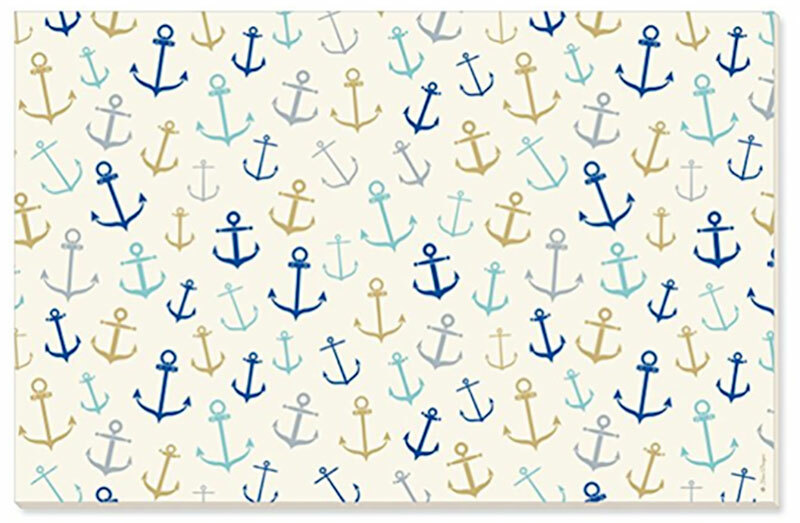 There are also matching placemats for $49.00 each. 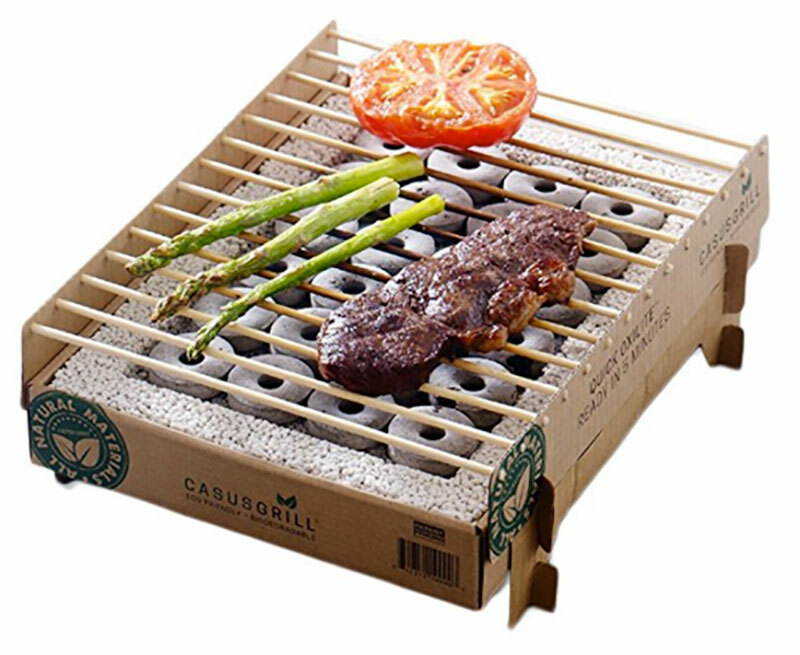 The Casus Grill is a disposable outdoor charcoal grill. It is 9.2” x 12.2” x 2”. It takes only I minute to set up. It is made from environmentally friendly packing materials and bamboo. It will fit into a backpack and is large enough to grill food to feed four people. $28.00. 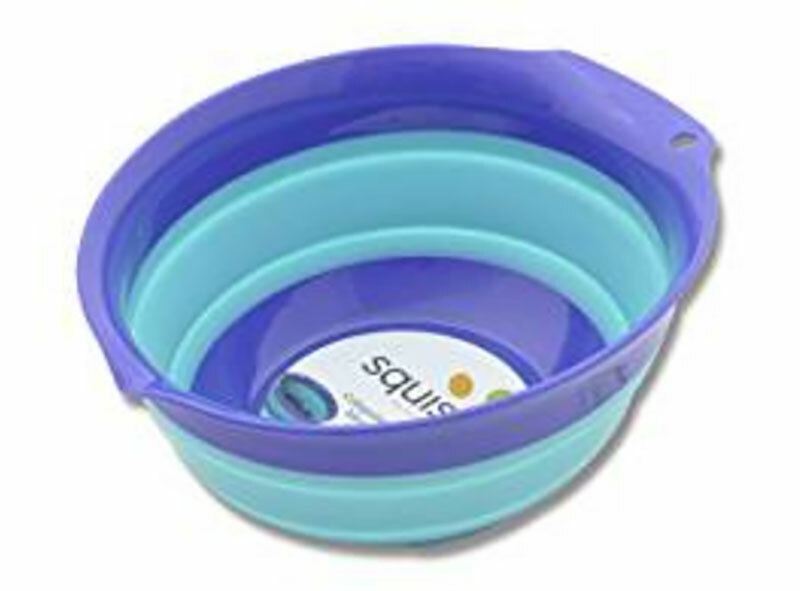 These Squish collapsible mixing bowls come is a variety of colors and three sizes – 1.5 quart, 3 quart and 5 quart. They are made from BPA free materials and are dishwasher safe. They collapse to be almost flat and take up very little storage space. They are durable with a non-slip base. They should not be used in a microwave. The 5 quart is $18.72.